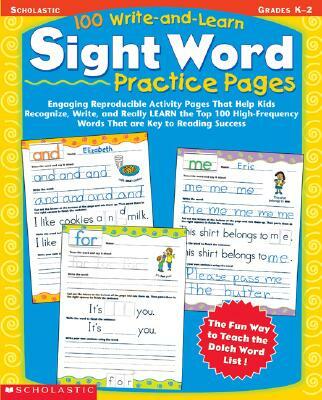 Watch confidence soar as children master 100 sight words--the words most commonly encountered in any text. Children read more fluently, write with greater ease, and spell more accurately when they know these high-frequency words These fun, ready-to-go practice pages let kids trace, copy, manipulate, cut and paste, and write each sight word on their own. Features words from the Dolch Word List, a commonly recognized core of sight words. Also includes games and extension activities. For use with Grades K-2.